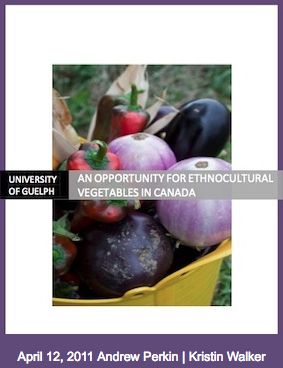 The following is a short list of popular world crops currently in demand from Chinese Canadians, African-Caribbean Canadians, and South Asian Canadians. A few of them are currently being trialed by the Vineland Research and Innovation Centre (VRIC) with assistance from the Ontario Fruit and Vegetable Growers’ Association (OFVGA). The information in this list is by no means exhaustive or complete. At the end of this list, you will find a brief description of information sources that currently are available or will be shortly.